Lukas discusses how to fold up FastCap’s Original Chop Shop Saw Hood. 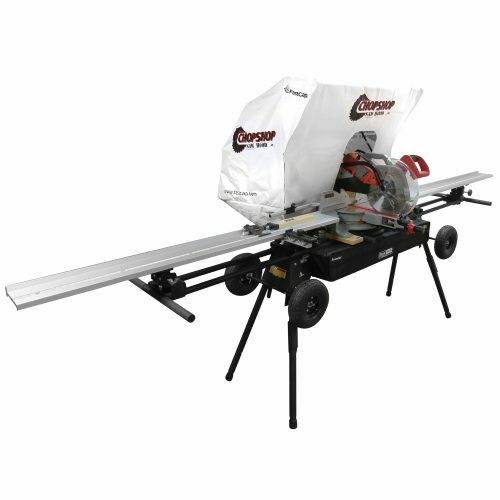 For more information on FastCap’s ChopShop Saw Hoods, visit our website. Want to keep your work area clean? The ChopShop Saw Hood saves you valuable time, by helping you keep your work area clean. This innovative product is easy to set up and eliminates billowing dust throughout your customer’s home. And the Saw Hood Pro takes all the features of the Saw Hood to the next level. The integrated dust cover and cornerless design ensures 95% of dust is contained. Spring frame construction allows you to compact the entire hood into the 22″ carrying bag. 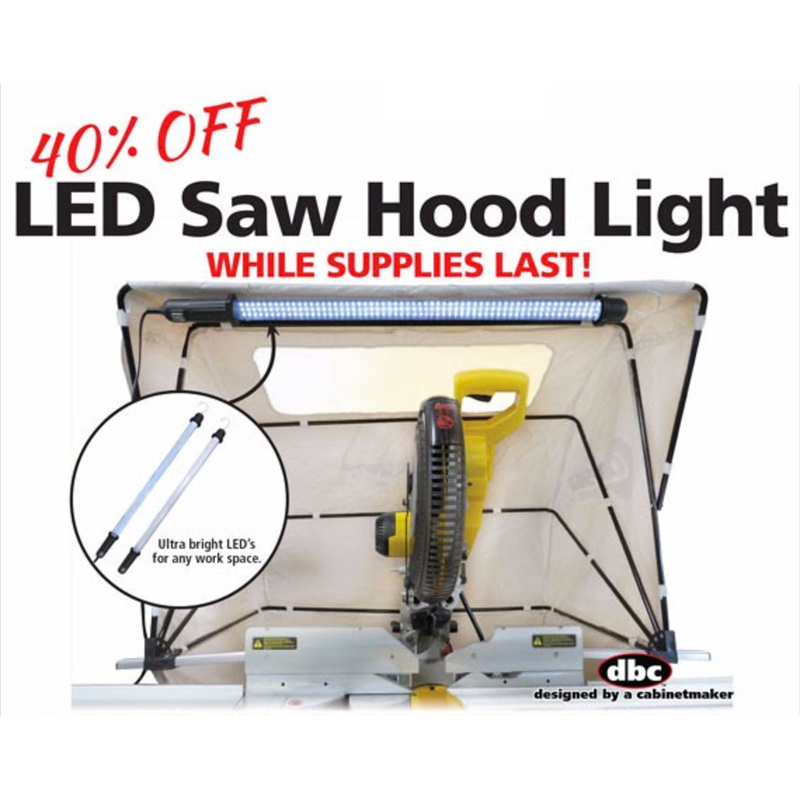 Note, the LED Saw Hood Light is sold out. You can, however purchase our Flex Light. 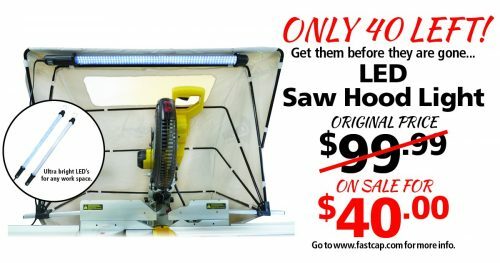 The LED Saw Hood Light allows you to illuminate your saw or work area. It can easily be attached to either the Saw Hood or Saw Hood Pro using the two S-hooks provided. The light can hang vertically or horizontally, making it perfect for any situation. And now is the perfect time to get them since the price has been reduced from $99 to $40 (while supplies last). 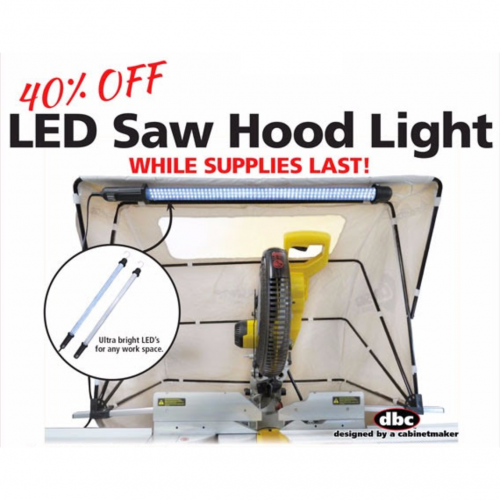 The LED Saw Hood Light allows you to illuminate your saw or work area. 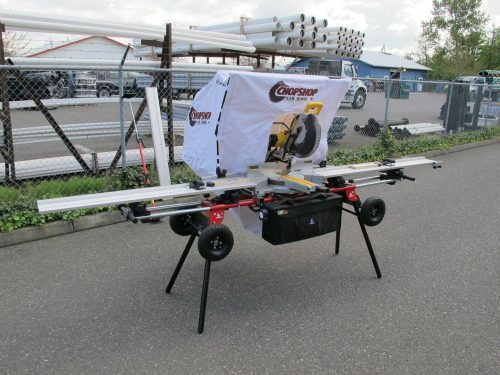 It can easily be attached to either the Saw Hood or Saw Hood Pro using the two S-hooks provided. The light can hang vertically or horizontally, making it perfect for any situation. And now is the perfect time to get them since the price has been reduced from $99 to $60 (while supplies last). 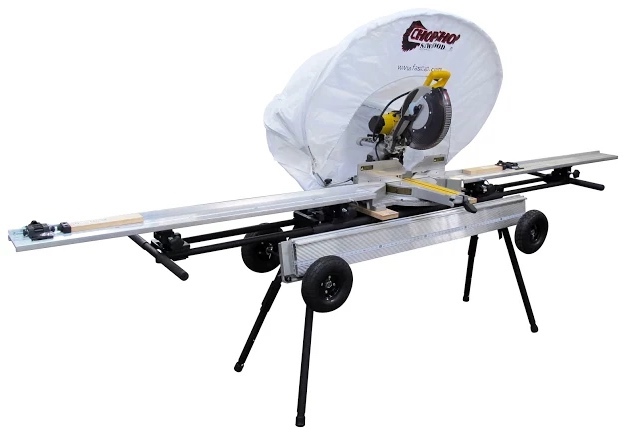 The ChopShop Saw Hood saves you valuable time, by helping you keep your work area clean. This innovative product is easy to set up and eliminates billowing dust throughout your customer’s home. Need to get into tight spaces? The Micro Flush Cut Trimmers have a rounded flush side cutting surface. 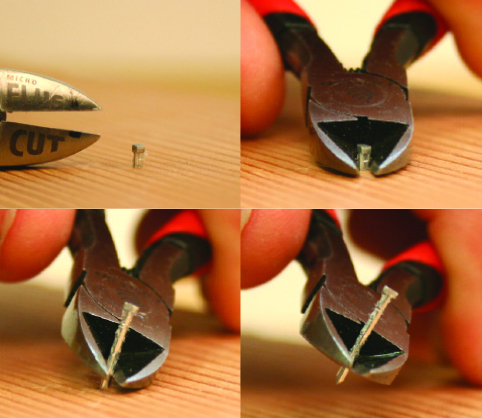 This design allows you to get into tight spots when removing brad nails or small slivers. Gently pull the nail out by rolling the Trimmers without marring or denting the wood. Paul Akers discusses a solution for the making our ChopShop Saw Hood arms fit snugly into the accessory hole in the back of the saw…particularly the DeWalt. For more information on FastCap’s ChopShop Saw Hoods, visit our website.